I asked my kids the other day “Kids, can you tell me something that there is not enough of in this wonderful world of ours?” They naively said, love. It’s not their fault that they are so stupid. The answer I told them of course is there isn’t enough plastic. That’s right; the world isn’t awash enough with plastics. Too bad I say to those cranky enviro types, who claim there will be soon more plastic in the sea than fish. Well the way I see it, it’s a lot easier catching empty plastic bottle than a fish, so maybe the naysayers need to start seeing the plastic bottle half full. Even though millions of plastic water bottles are used in countries daily that have clean running water in their taps, it doesn’t change the fact that tap water is gross. Sorry I like to drink my water in a plastic bottle that has picture of mountain spring on it, so what? 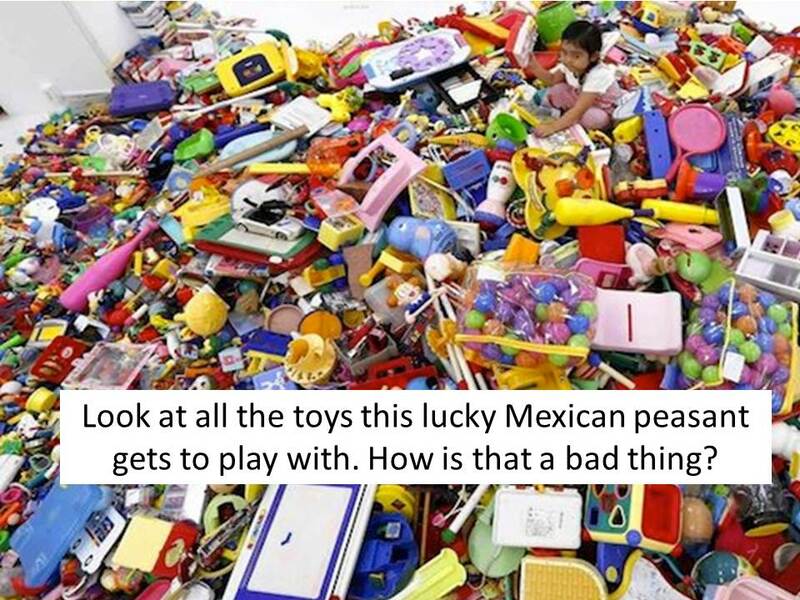 When shopping, there are so many plastic objects to spend money on that I just can‘t live without. 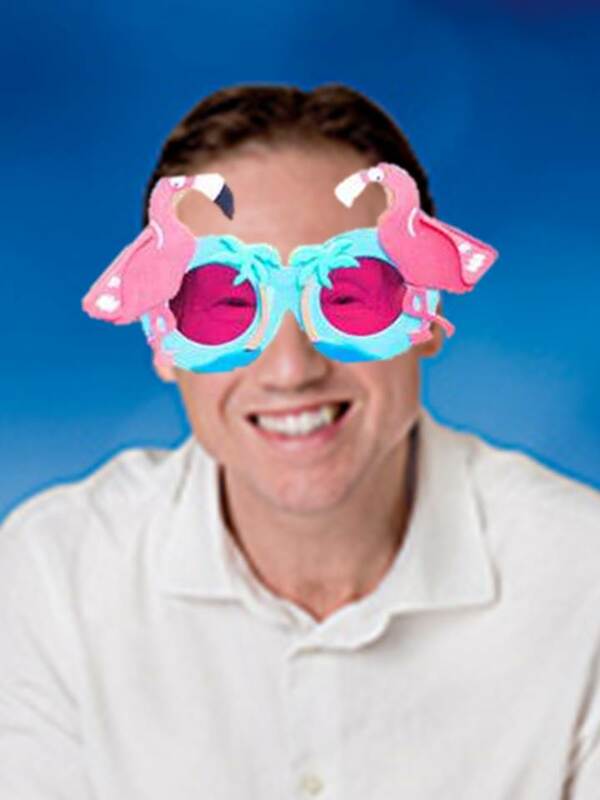 What about pairs of wacky sunglasses I wear to a LNP fancy dress party. The sunglasses which I put on as I walk through the door and yell “party in the parliment-house” wearing them for 5 minutes and never wear them it again. That $5 was worth those 5 minutes. So was the oil dug from the ground to make them and the energy used to transport them. What about a plastic banana container? 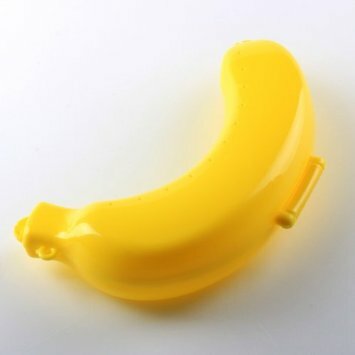 I mean how did we ever eat bananas before someone made this plastic thing? If only bananas had some kind of yellow like covering to protect their yummy soft flesh. 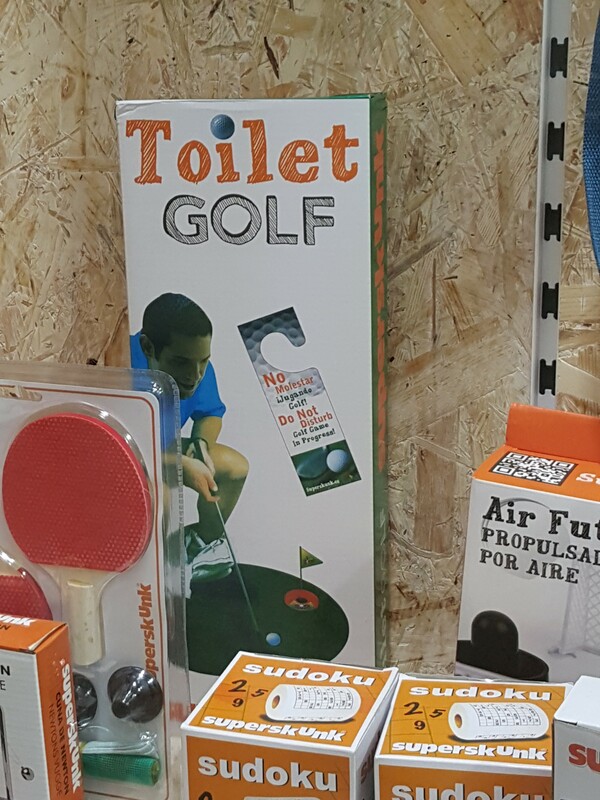 Then I just had to buy “toilet golf” to improve my putting while doing a number two. Investing in useless items that destroy the planet is our right as citizens of the earth and if we didn’t do it who would? Buying plastic is easy, just think of what you don’t need, that you might never use, and has zero functionality but ensures you spend money like a mindless robot, because the pretty colour of the shop and your senseless and meaningless life compels you to do so. Also don’t forget to ask for two plastic bags when you leave. Experience the exhilarating freedom of making real choices, like this yoga matt on special or this plastic wacky photo frame. It may feel like it has no consequences but deep down you can feel a warm and fuzzy from knowing that you have made a valuable contribution to the eventual annihilation of the human species and to ensure that the world gets exactly more of what it needs…. plastic.